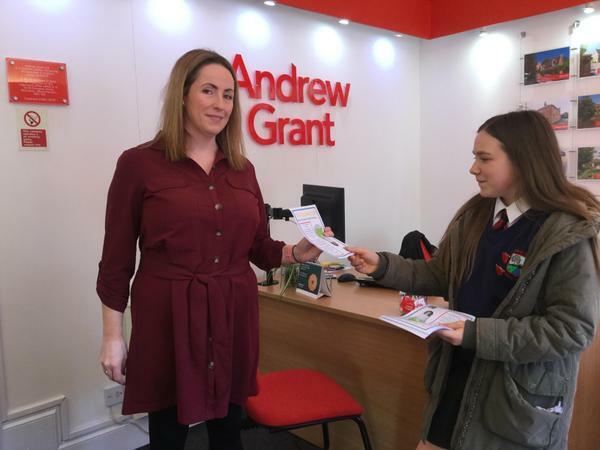 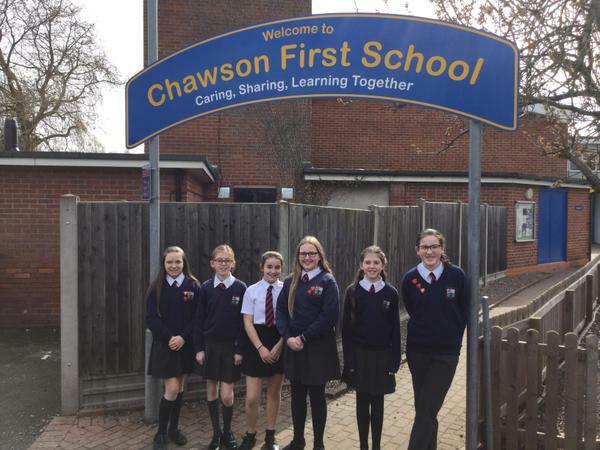 To continue raising awareness of the Big Switch off, we travelled to lots of schools in the local area and delivered an assembly stressing to other children the importance of taking part. 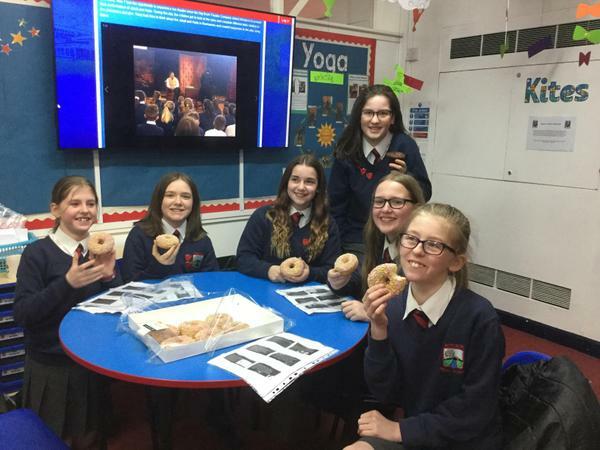 We were then lucky enough to have a doughnut to celebrate a job well done! 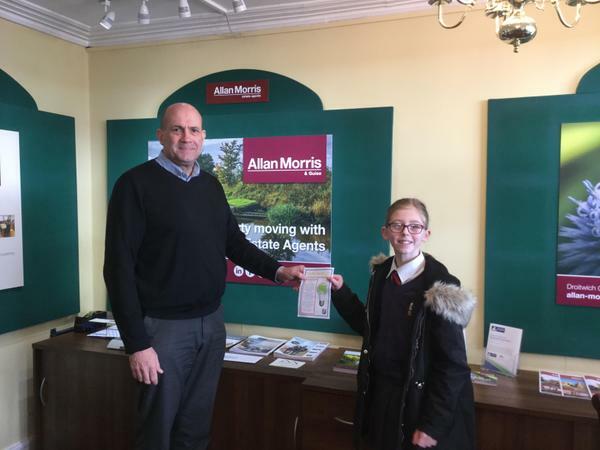 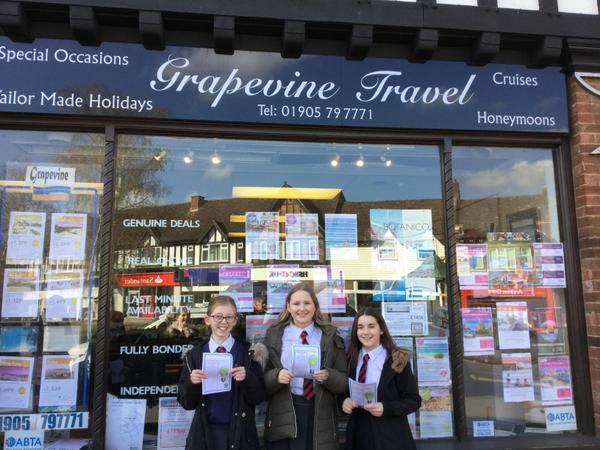 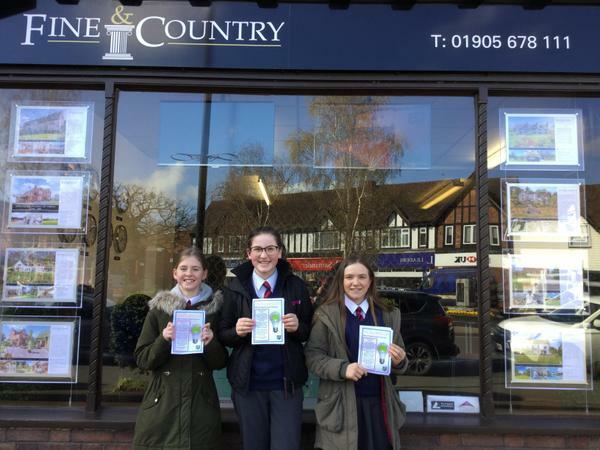 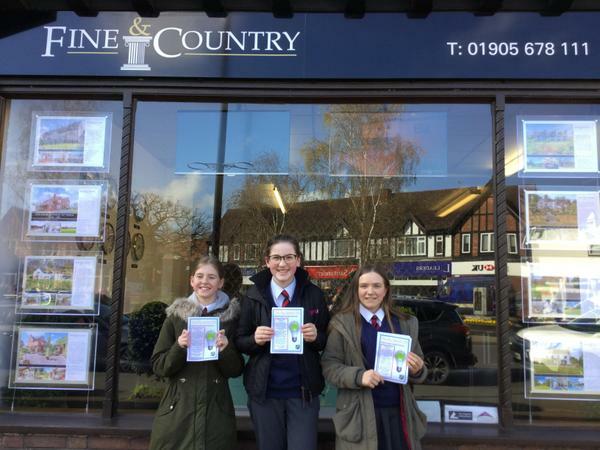 Our year 7 eco-warriors canvassed town today with the aim of encouraging shops and businesses, in the town centre, to join us in the Big Switch Off. 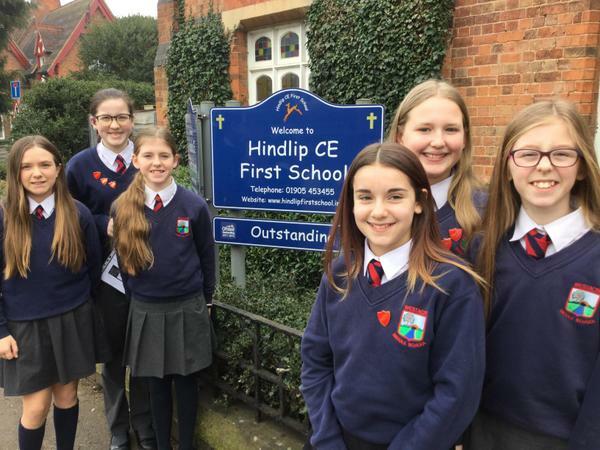 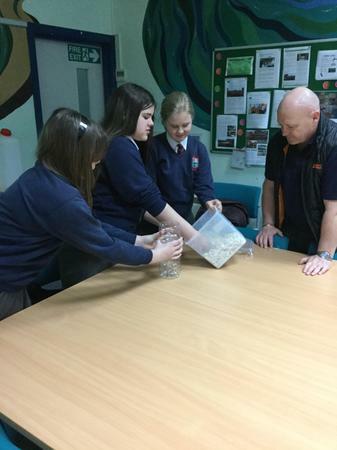 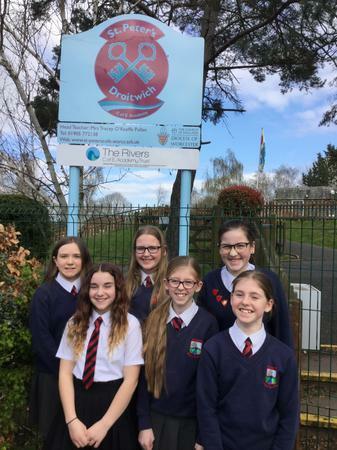 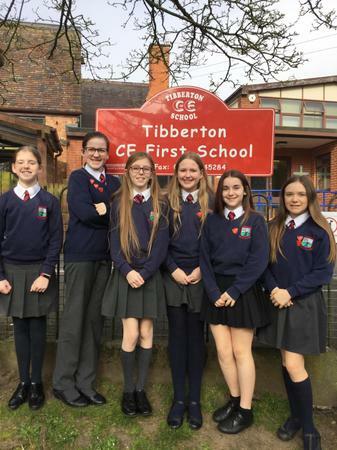 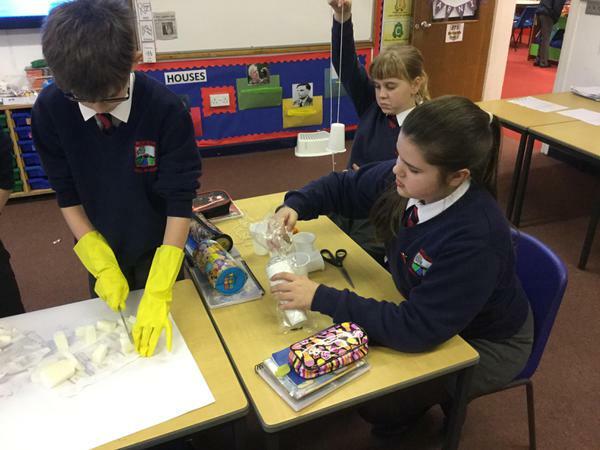 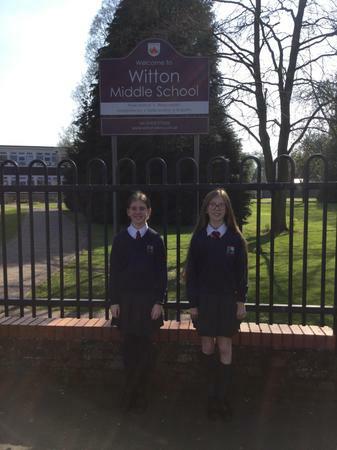 Some of our year 7 children came to school with a vision to make the people of Droitwich more energy conscious and devised a project to raise awareness by reducing our power output for half an hour. 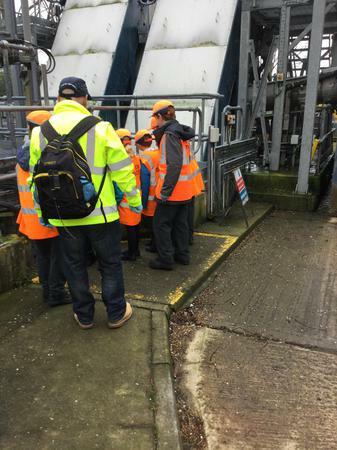 Watch the video above and hopefully you'll be inspired enough to join us on 11th March. 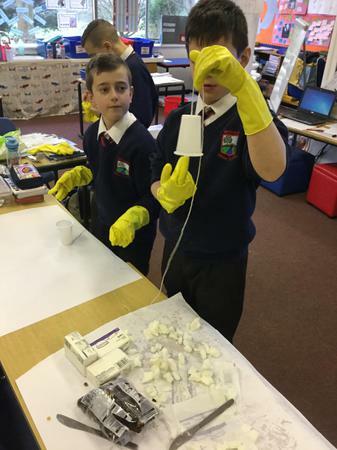 Russell, from year 6, was concerned about the water we might waste in school, so at home he made his own cards to remind both children and staff alike to turn off the taps properly. 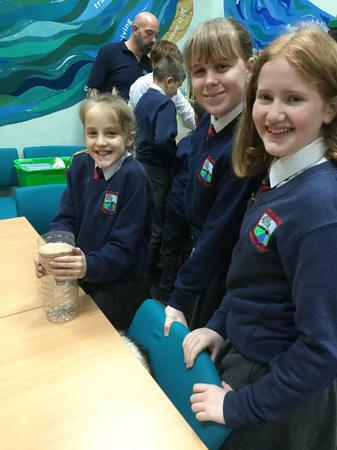 The remaining members of the Eco-Council gladly helped Russell place those cards nearby any taps. 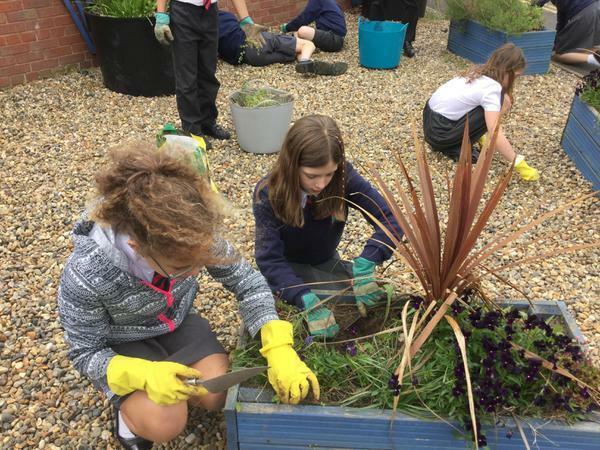 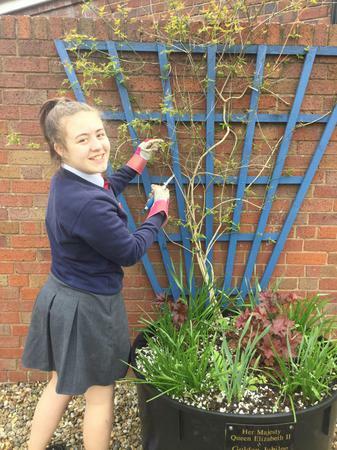 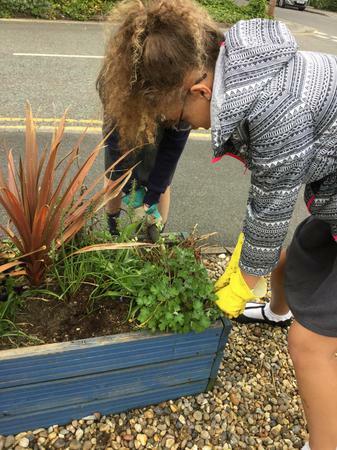 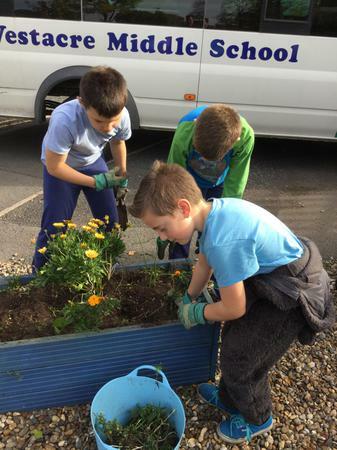 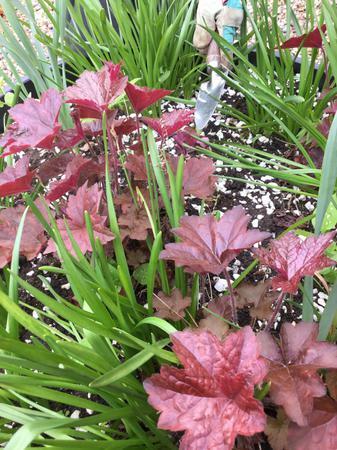 To prepare for the Spring the Eco-Council have been tending to the Community Garden removing weeds and plants that will not survive the winter months. 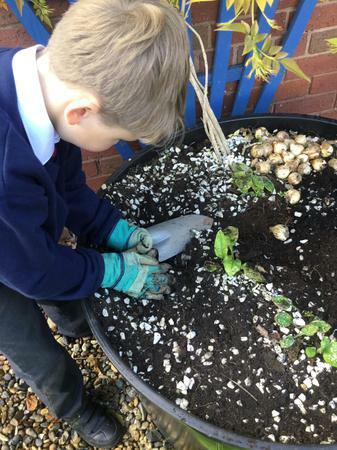 We can't wait to begin planting some bulbs! 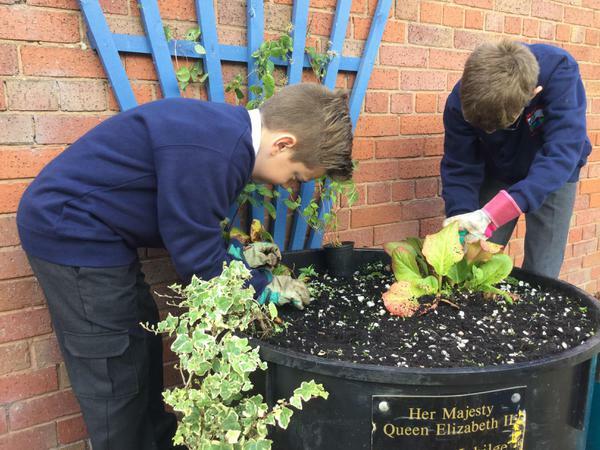 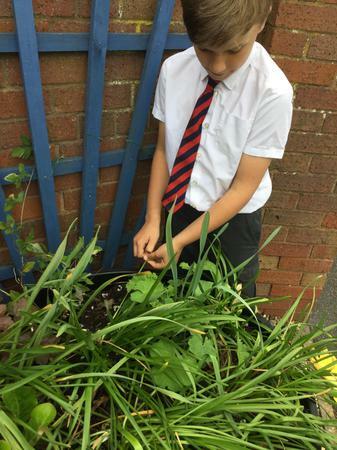 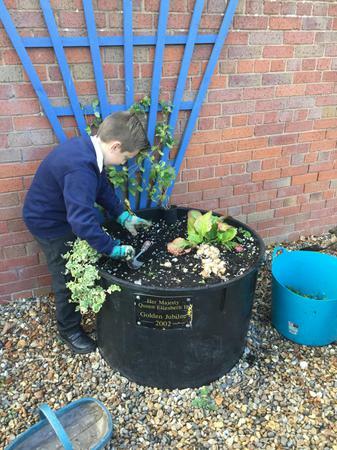 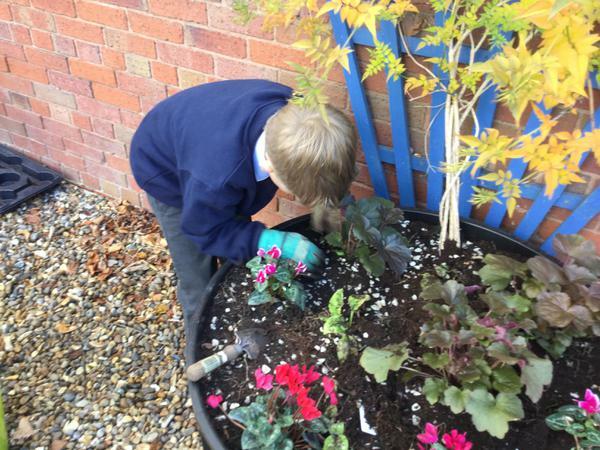 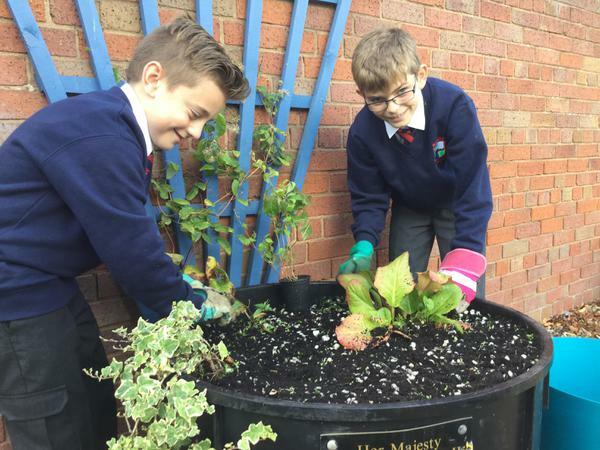 The Eco-Council have continued our sustainability project by planting our own crops within the school grounds. 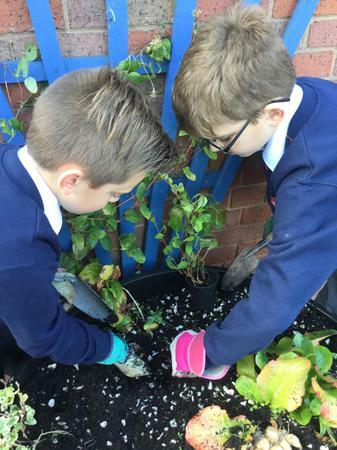 We have started by sowing some lettuce seeds and will continue by planting radishes, potatoes, spring onions and peas. 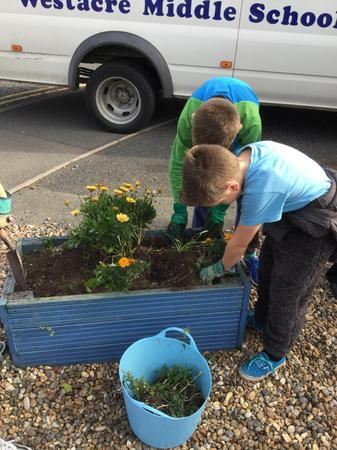 The Eco-Council returned to the Community Garden in the town centre to give it a much needed tidy up. 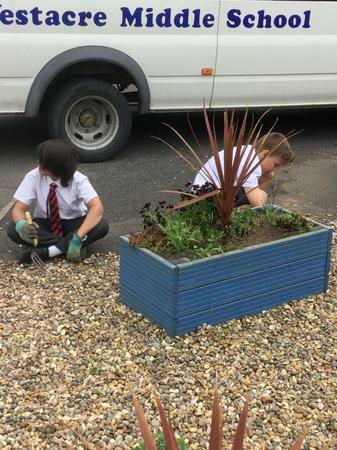 Keep posted to see how it develops over the Summer term. 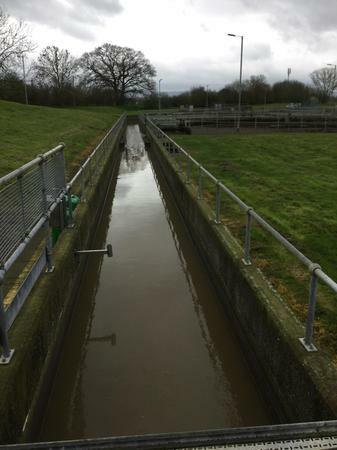 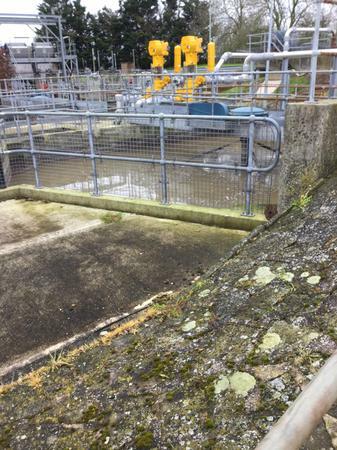 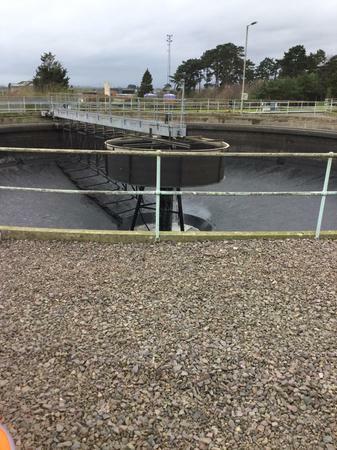 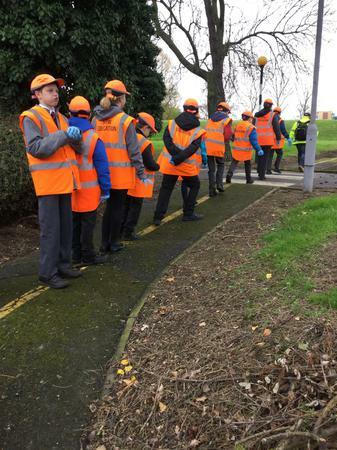 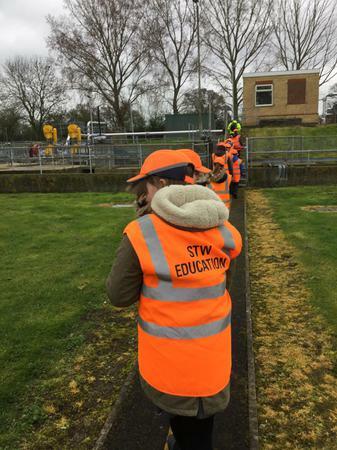 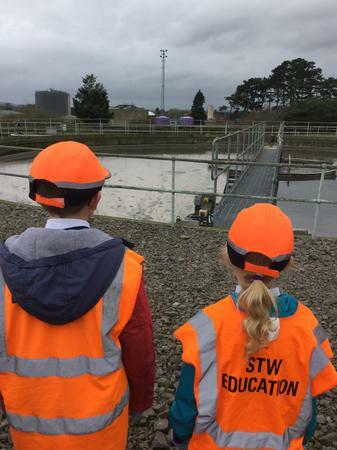 Following an assembly from Severn Trent, which informed us about using our drains properly, the Eco-Council went to a Sewage Treatment Works in Cheltenham. 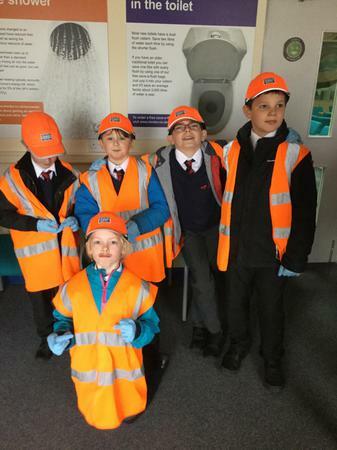 We were really surprised at some of the things people would flush down the toilet including cuddly toys and bubble wrap. 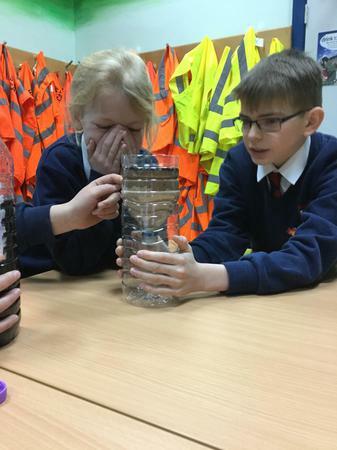 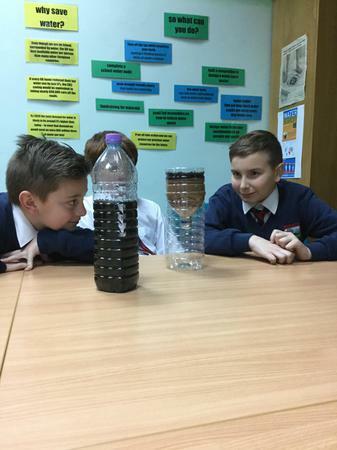 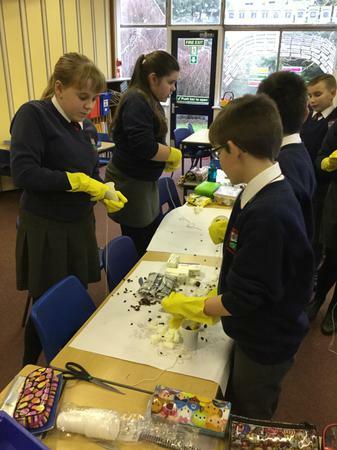 Whilst at the on site Education Centre, we took part in a filtration experiment where we separated compost from water. 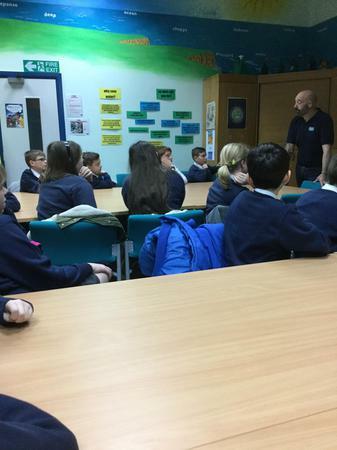 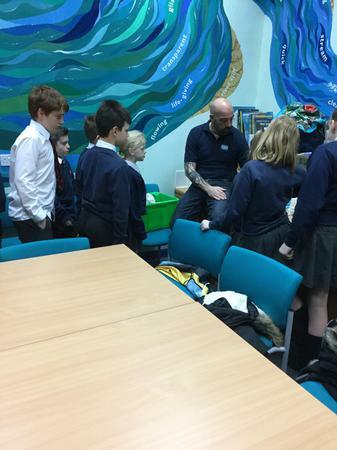 We also looked at the Water Cycle and discovered why it is important to use water sensibly, before taking a tour of the sewage works. 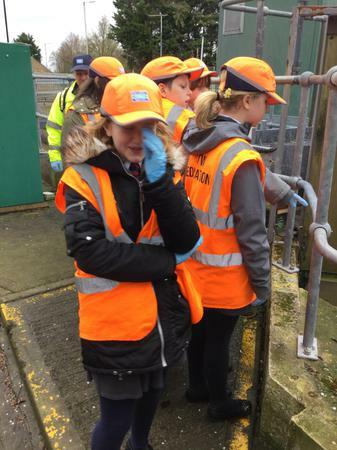 Finding out that dirty water is cleaned and put back into the rivers after 18 hours was a real eye opener, even if the sewage works produced some interesting smells! 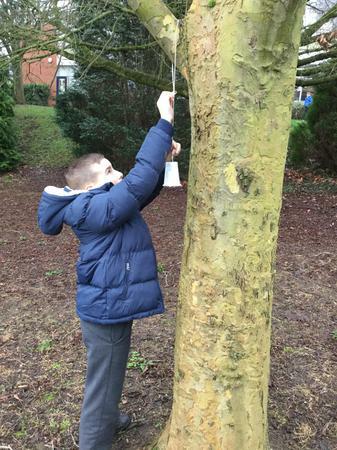 To kick start the New Year the Eco Council has decided to take part in the RSPB Big Garden Bird watch. 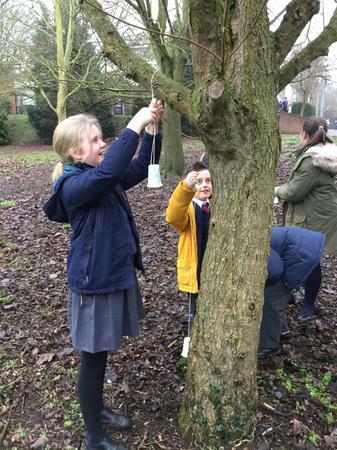 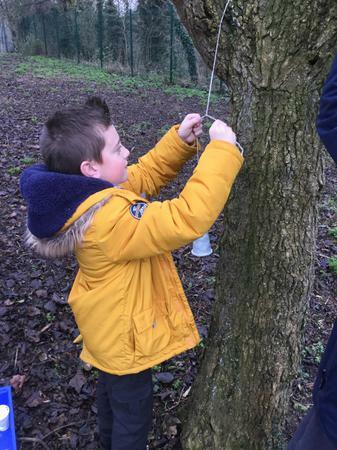 In order to attract more wild birds into school, children decided to make birds a tasty treat, to fill them during the winter months. 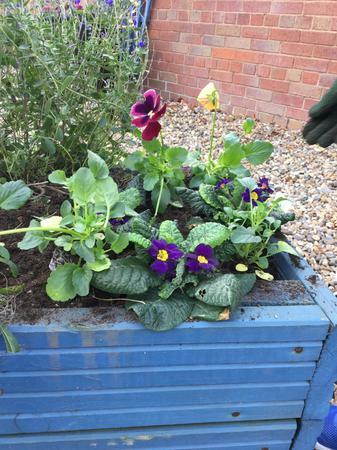 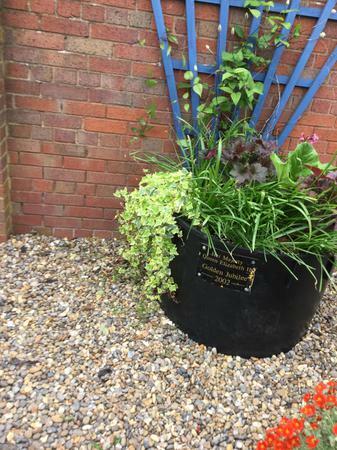 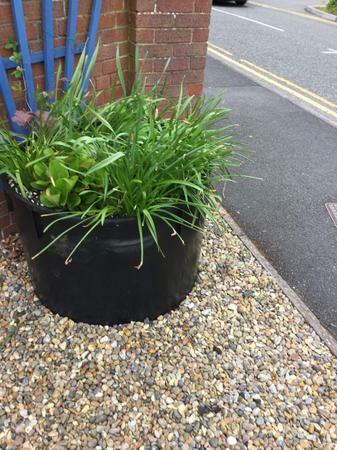 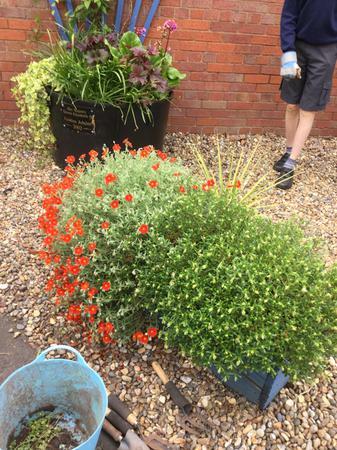 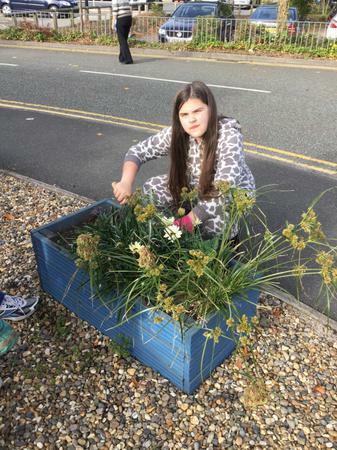 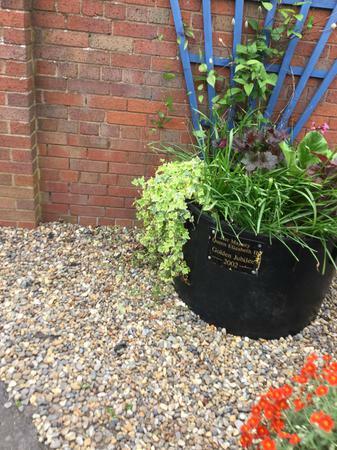 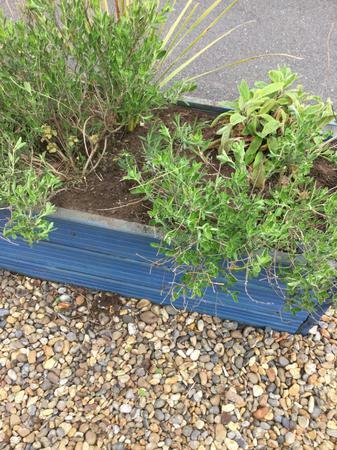 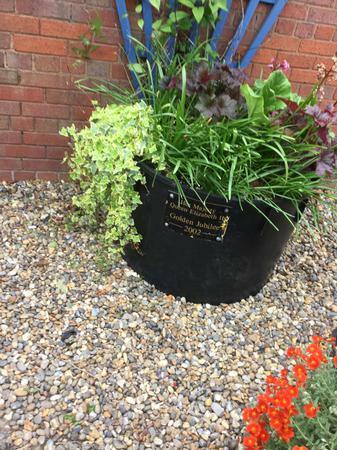 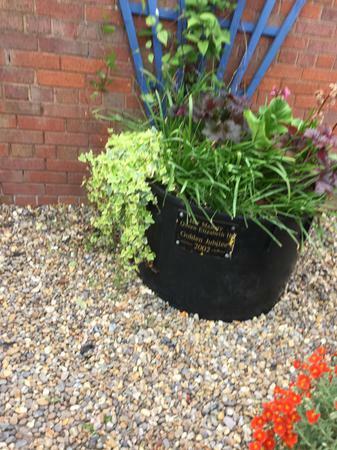 We have continued to maintain our Community Garden in Droitwich town centre. 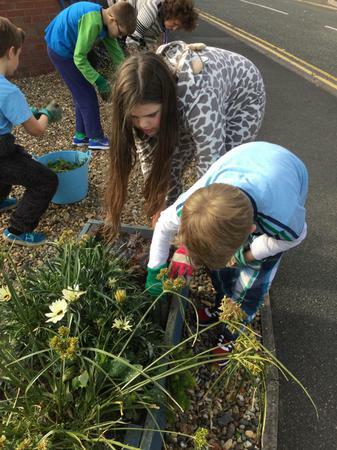 We have been three times so far this year including a trip in our pyjamas! 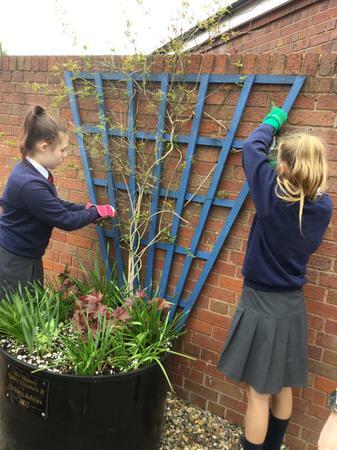 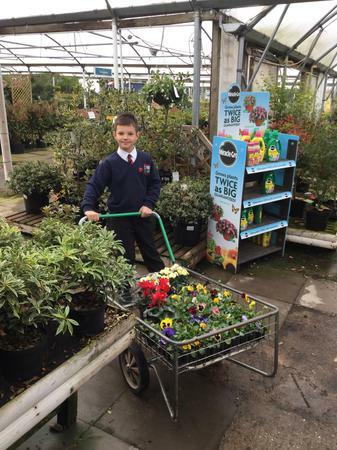 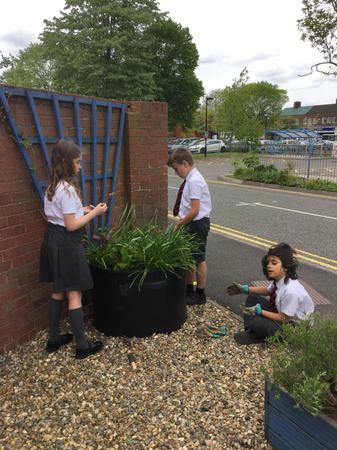 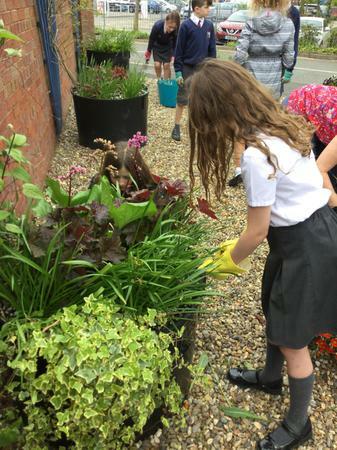 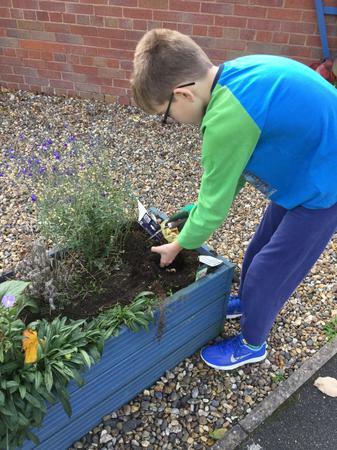 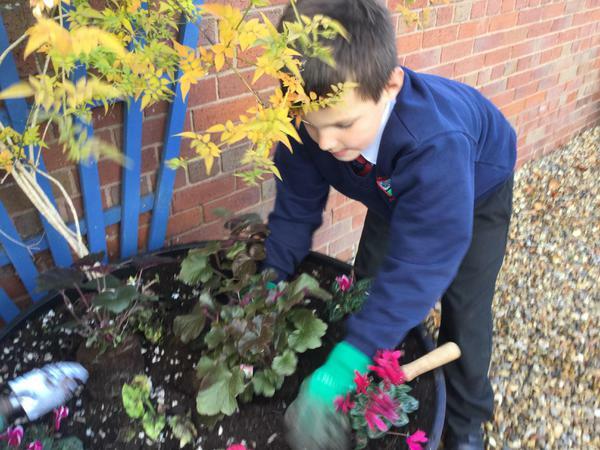 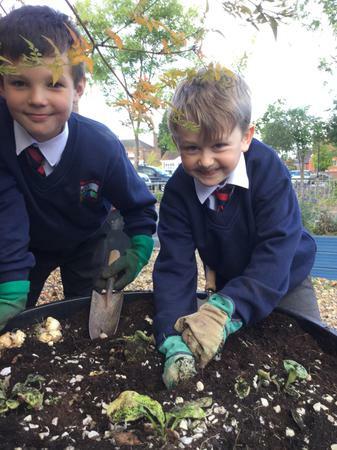 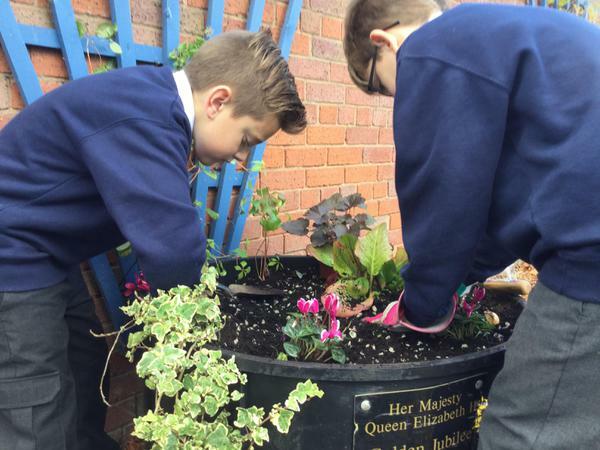 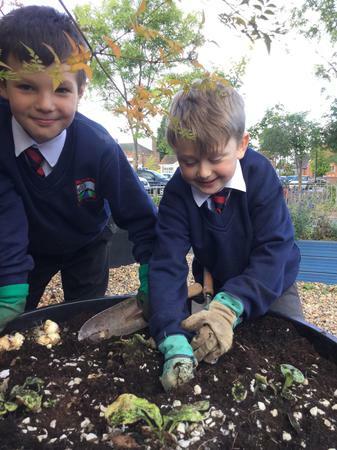 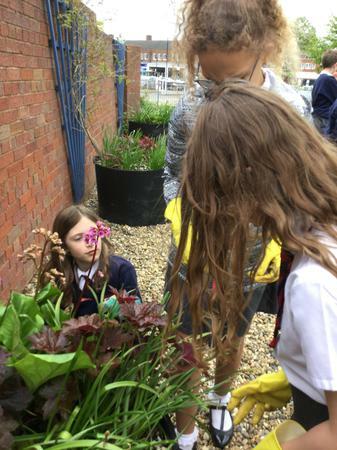 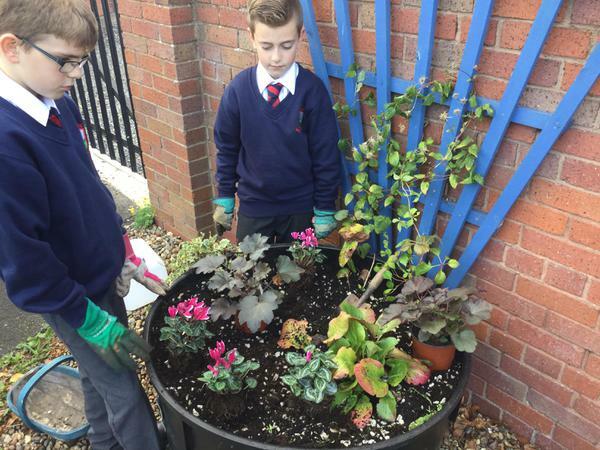 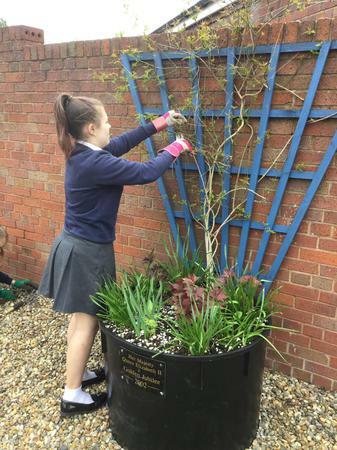 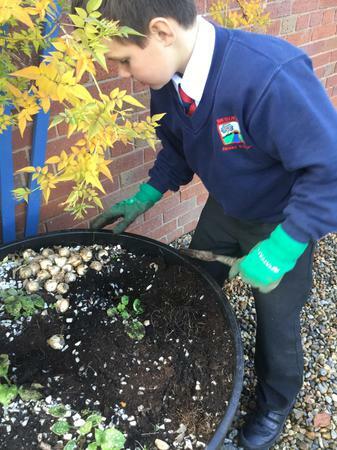 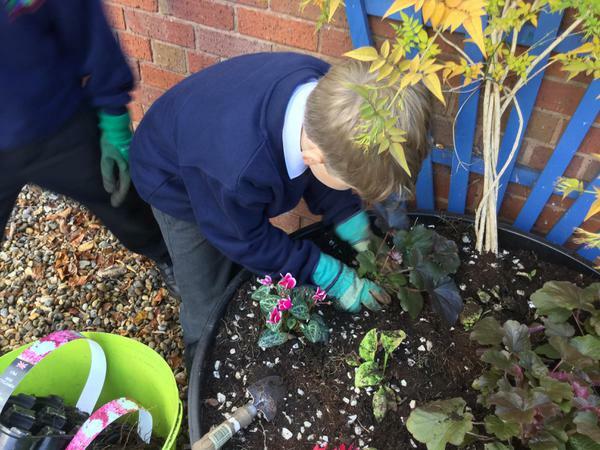 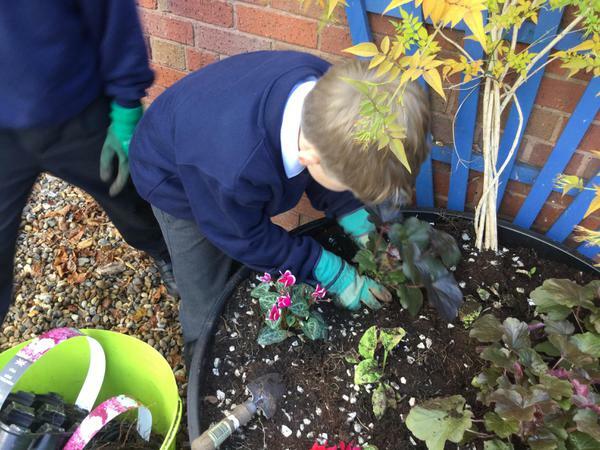 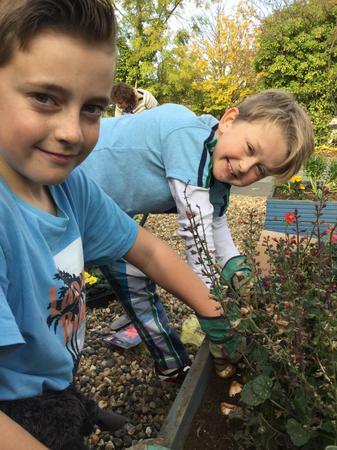 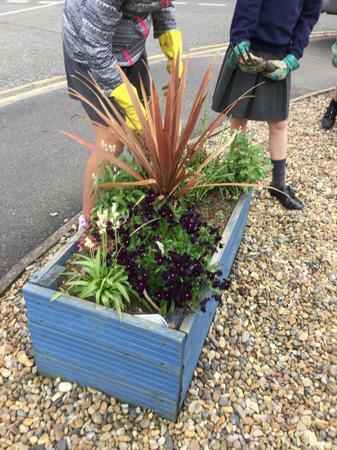 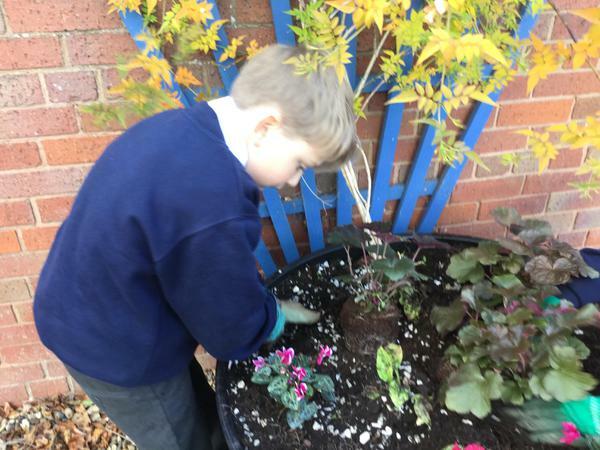 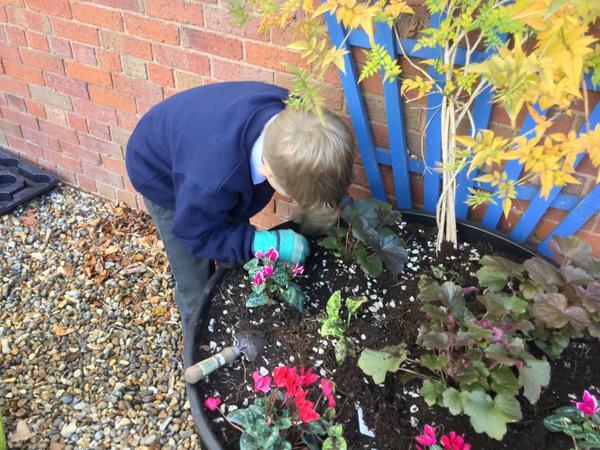 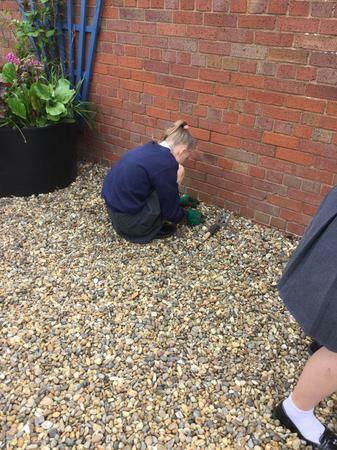 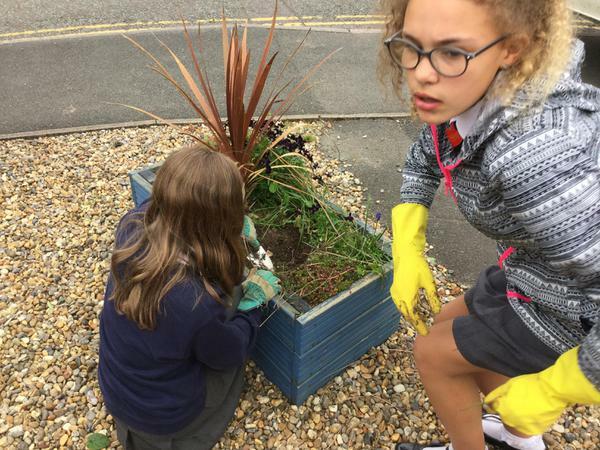 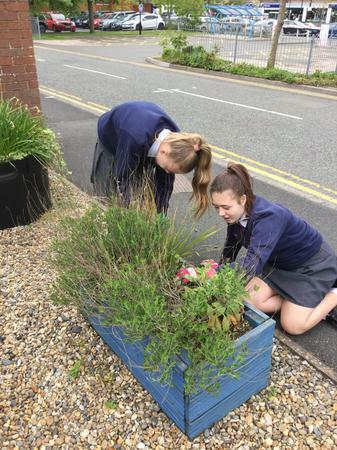 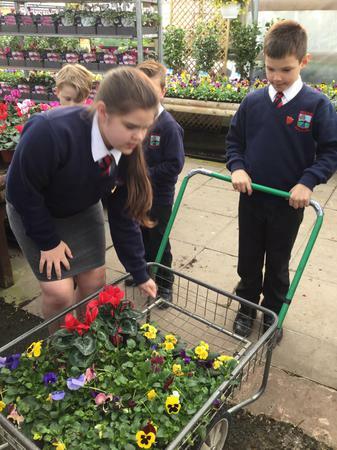 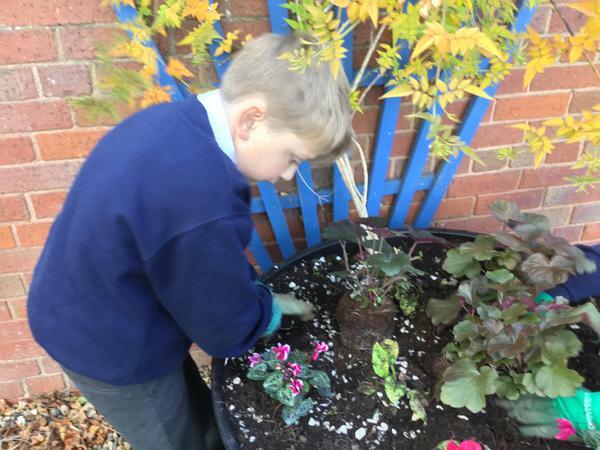 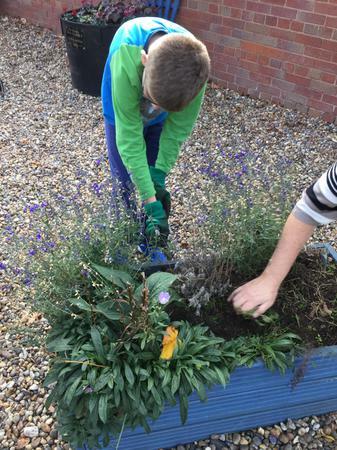 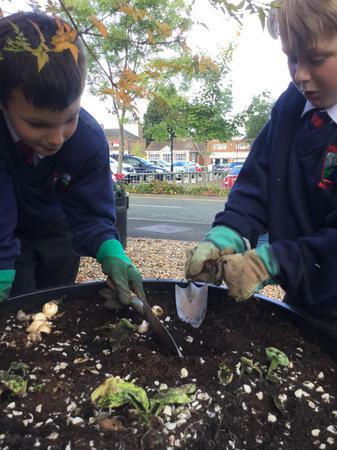 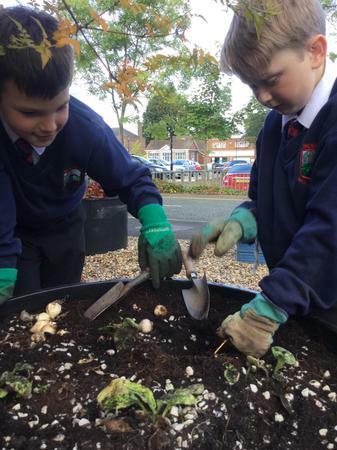 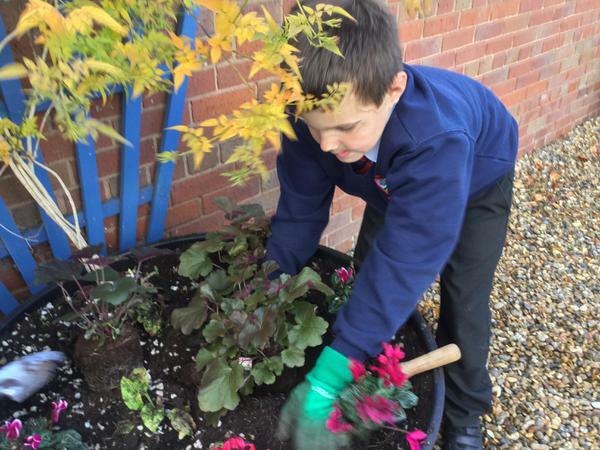 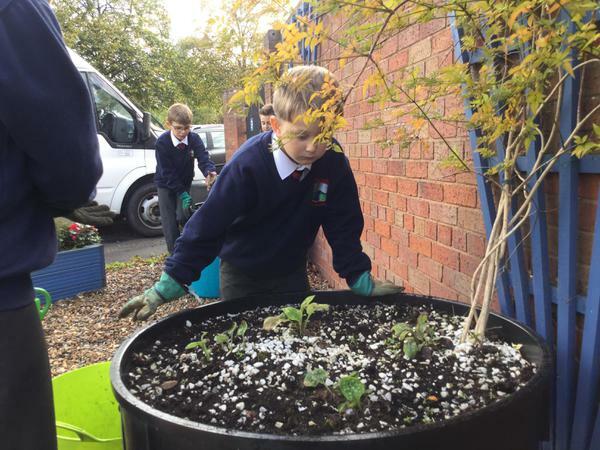 Eco Council members have chosen and bought the plants that have been planted and have already planted bulbs ready for next Spring. 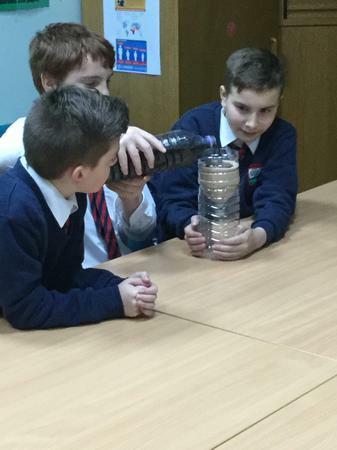 We are delighted to announce that we have been chosen to take part in Rocket Science. 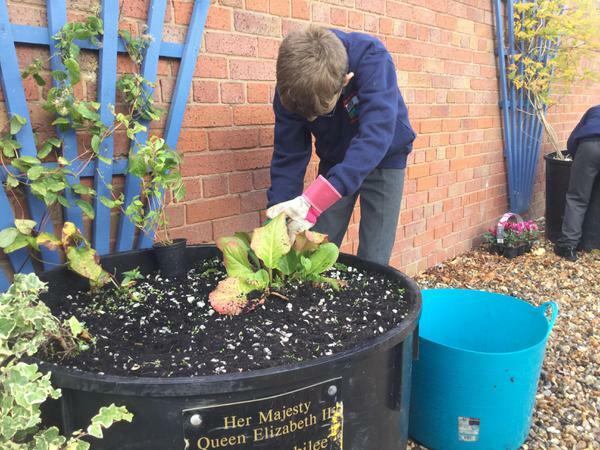 We have received 100 rocket salad seeds which have spent six months on the International Space Station. 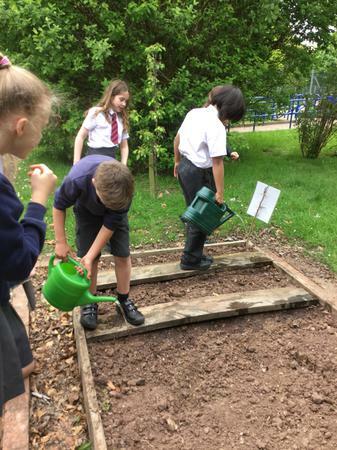 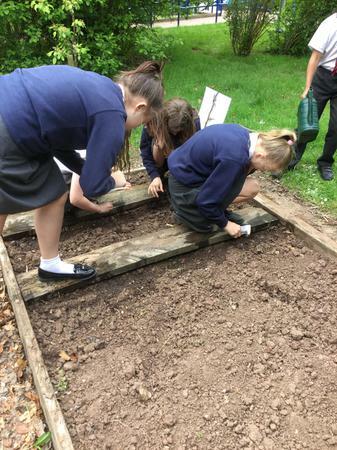 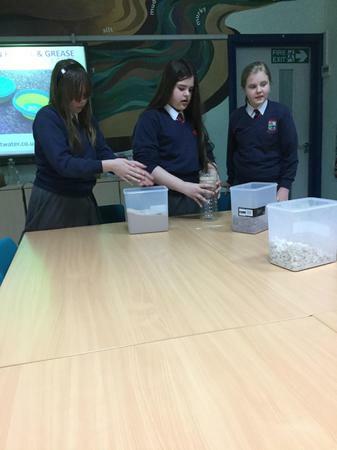 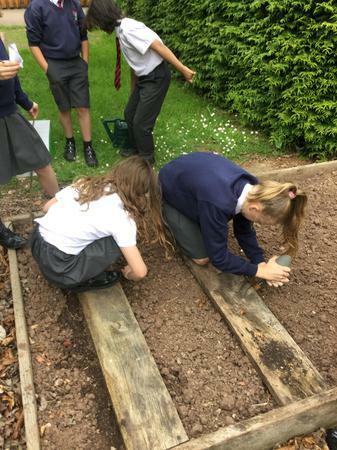 They have been in the care of British astronaut Tim Peake, who was in charge of 2kg of seeds which have been distributed among thousands of schools. 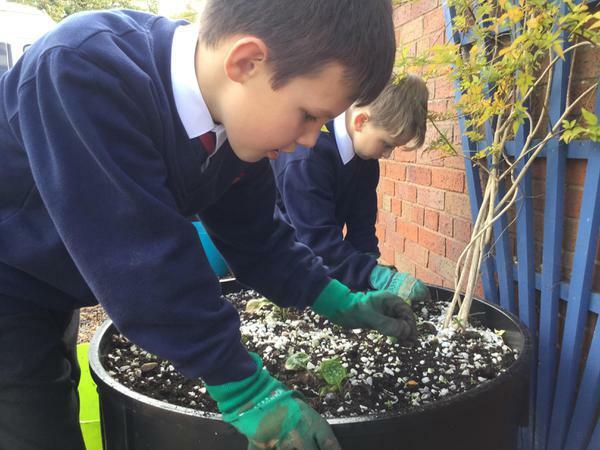 Seeds are being grown alongside seeds that have not been to space, to see if there are any differences in growth. 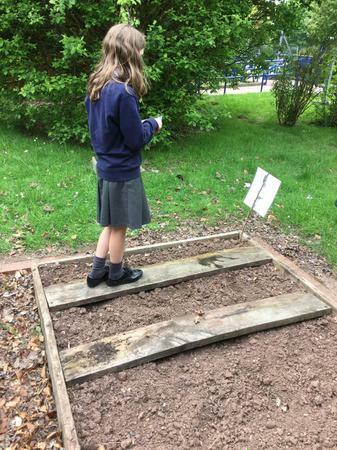 Once completed we will be entering our data to a huge nationwide database. 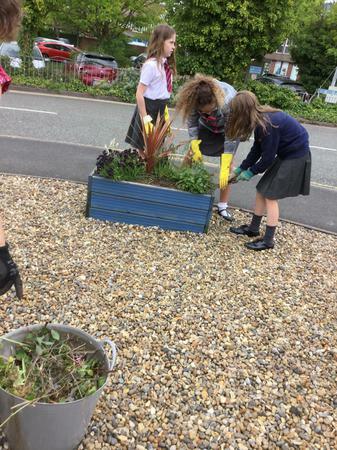 Here at the Eco-Committee we are keen to be green and want to encourage our scholl to keep our community and the world around us beautiful. 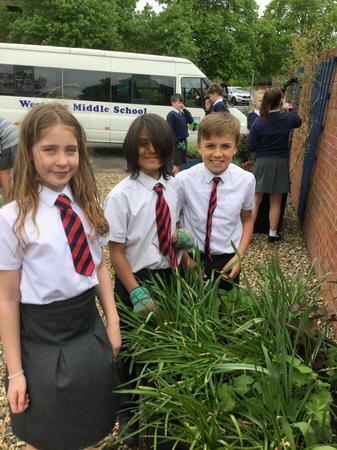 As a result, we are keen to announce; Grow Westacre's Tallest Sunflower competition. 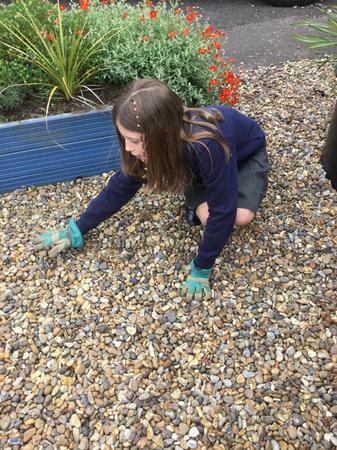 Over the next few weeks, children will have the opportunity to collect a packet of 6 sunflower seeds and a simple care sheet from school. 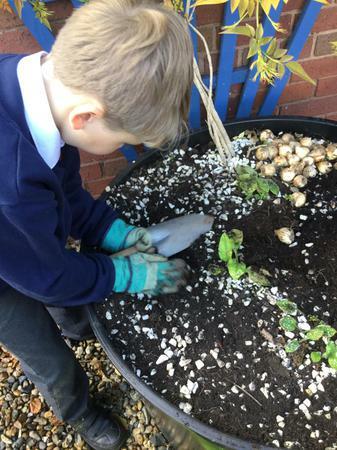 All we ask is that children plant these seeds and try to grow the tallest sunflower. 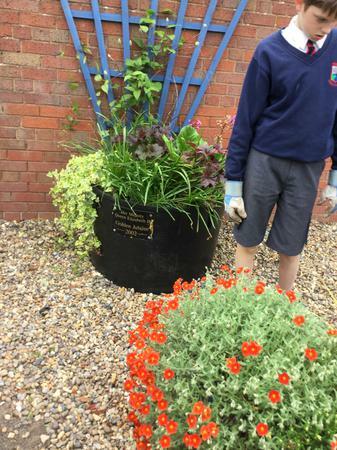 At some point during the week of the 11th July we would like children to bring in a photograph of them next to their plant. 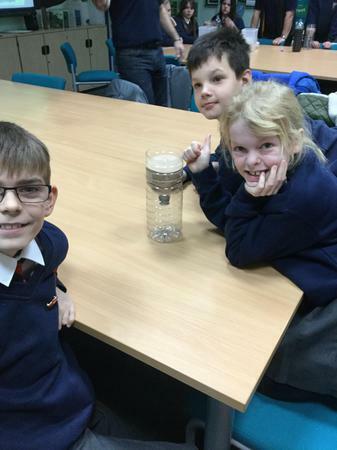 You can even take a selfie if you wish! 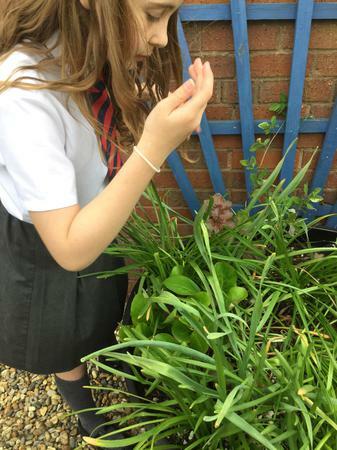 We also ask that on the back of the photograph you note down the size of the sunflower, so we can determine a winner. 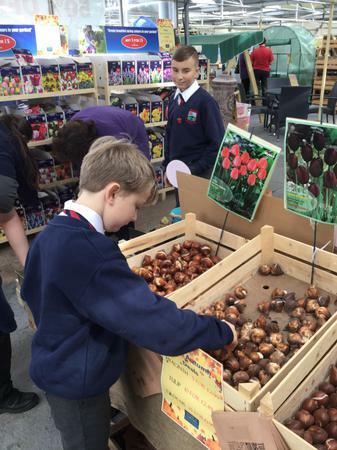 So far over 130 children have expressed an interest and have taken a seed pack! 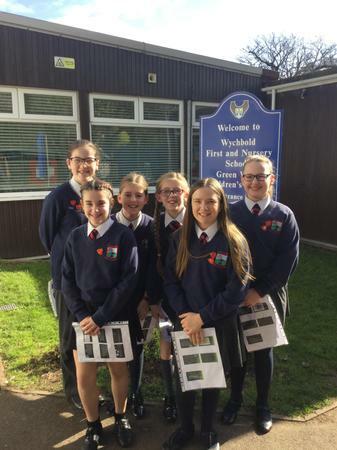 We now have an eco-comittee comprising of students from each year group. 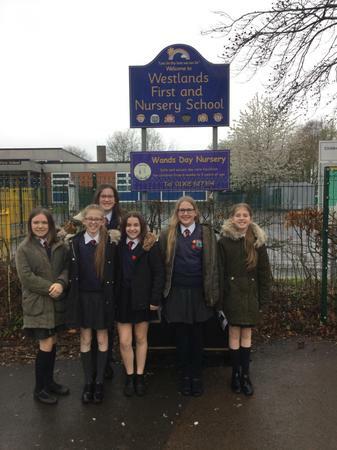 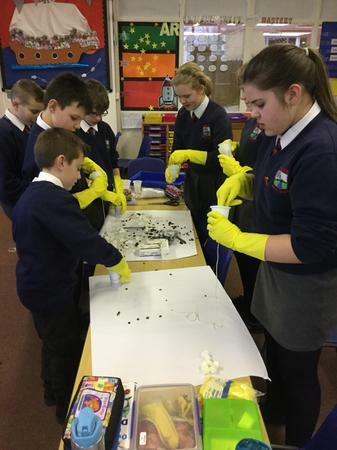 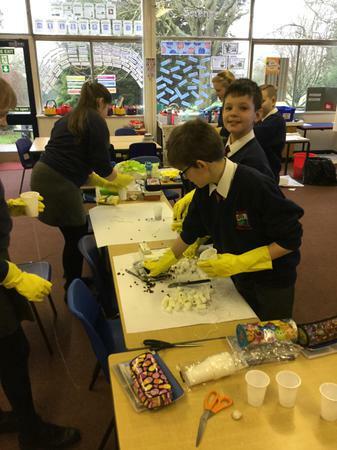 They are responsible for making decisions that affect our environment at school and encouraging all of us at Westacre to become more eco-friendly.